Rarely have we seen a Round 1 like it in terms of throwing the early part of the season on its head. From a personal perspective, looking at my preview series, seven of the nine winners over the weekend were rated below their opponents. You just have to laugh. But setting aside your team colours, didn’t we just love every minute of it. This is exactly what the theatre of sport is supposed to be about. We saw some outstanding coaching feats in Round 1. It would be remiss not to start with Alastair Clarkson, the best of the best and the only senior coach with multiple premierships to his name. What a masterclass he put on against Adelaide. The Crows had the five highest possession winners on the ground and seven of the top nine. They had 440 disposals to Hawthorn’s 368, but it was all for nothing. Every time the likes of the Crouch brothers, Rory Atkins, Rory Laird and Wayne Milera flicked the ball around to each other it was one more step into Clarkson’s lair. The Adelaide forwards had no room to lead into and their playmakers had no way to move the ball forward efficiently, such was the total control of the Hawthorn defensive set-up and their pressure on the ball carrier. And when the Crows tried to drive the ball in long, there was James Sicily to cut them off, assisted by Ben Stratton, Blake Hardwick, David Mirra and co. Adelaide actually had three more inside 50s than Hawthorn but laid 12 fewer tackles in that part of the ground. 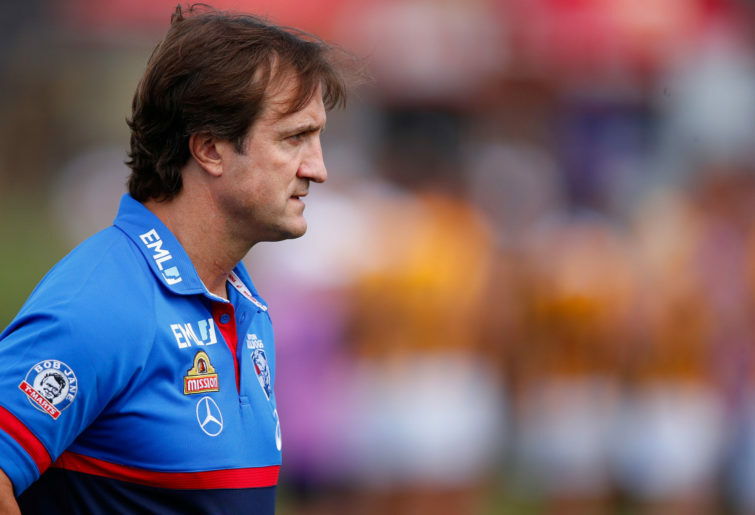 Luke Beveridge went some way to re-establishing his credentials after a questionable time since the 2016 grand final. His team looked worse than any in the JLT Series, losing to expected cellar-dwellers Gold Coast and St Kilda. But on Saturday night the Bulldogs were back to a style of play that took them to consecutive finals series and a flag in 2015-16, strong in contested and clearance work, with a defensive mindset also set to pressure and stop their opponents run. Aaron Naughton, a Rising Star nominee in the backline last year, was the dominant key forward on the ground, no mean feat when Buddy Franklin is suiting up. Sam Lloyd, recruited from Richmond, was a decisive player and also among the Dogs’ best. They are ticks for strategic thinking and list management. Ken Hinkley and Chris Scott also had good weekends for Port Adelaide and Geelong respectively. Hinkley debuted three teenagers and a 20-year-old and came armed with a specific gameplan to run Melbourne off their feet and physically target Max Gawn. The Power had 72 more handballs than the Demons and almost 100 more uncontested possessions. They kept the faith even after conceding four of the first five goals. Yes, there were errors, but they stuck fat to the plan until it broke their opponents. This clash was the most physically brutal of the weekend, and for a young side to prevail was a huge feather in Hinkley’s cap. Geelong were playing premiership favourites and last year’s grand finalist Collingwood and also handed debuts to three teenagers plus mature-ager Tom Atkins. Esava Ratugolea and Mark O’Connor had played 15 games between them and took the field as well. The Friday night clash between the Cats and Pies was the most grinding match of the round, albeit with several momentum swings. 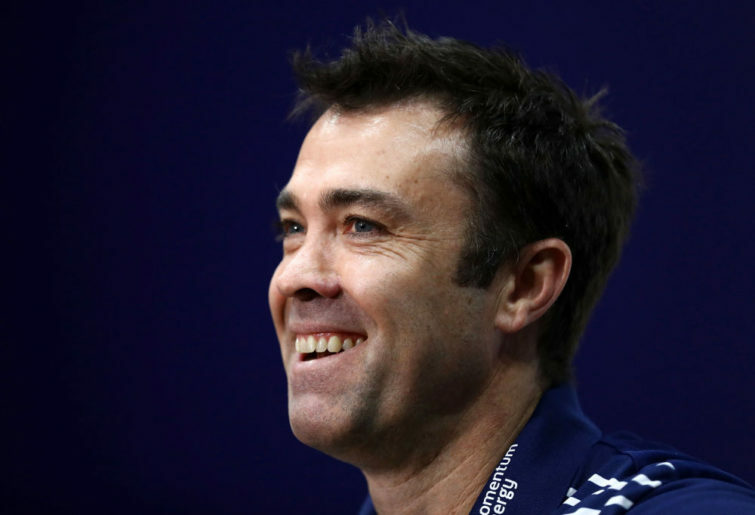 For the Geelong youngsters to prevail in this kind of game, showing maturity beyond their years, was a big tick for Chris Scott and his development team. Chris Fagan walked out to the quarter-time huddle on Saturday night with his young Brisbane side 27 points down against the reigning premiers, having conceded the last five goals. To then turn this into a 44 point win was an astounding achievement. And while the Lions were superb in the way they smashed West Coast around the ball and also ran them ragged on the outside, this was a win based on belief and a culture of resilience being built. It will do wonders for their development and lets the competition know that the Gabba is ready to become a fortress once more. There will be no easy games there this year. We started with Alastair Clarkson and we’ll end with Ross Lyon. They are two of the three most experienced coaches in the AFL. What a performance from Fremantle, particularly given their lead-up was dominated by the Jesse Hogan situation. This was a performance under Ross Lyon that hadn’t been seen for many years. Similar to Hawthorn against Adelaide, the Dockers strangled North’s ball movement, made their forward line look inept and pressured the ball carriers to distraction. But the story was how well they moved the ball themselves and pounded through 21 goals from 36 scoring shots. A Ross Lyon team playing exciting football? Not many predicted that coming into this season. Coaches cop a lot of heat when things go wrong, as John Worsfold and Brad Scott are finding out this week. So they should be celebrated when they get it as right as they did in Round 1. The question now is which of their teams are going to sustain what they showed us.